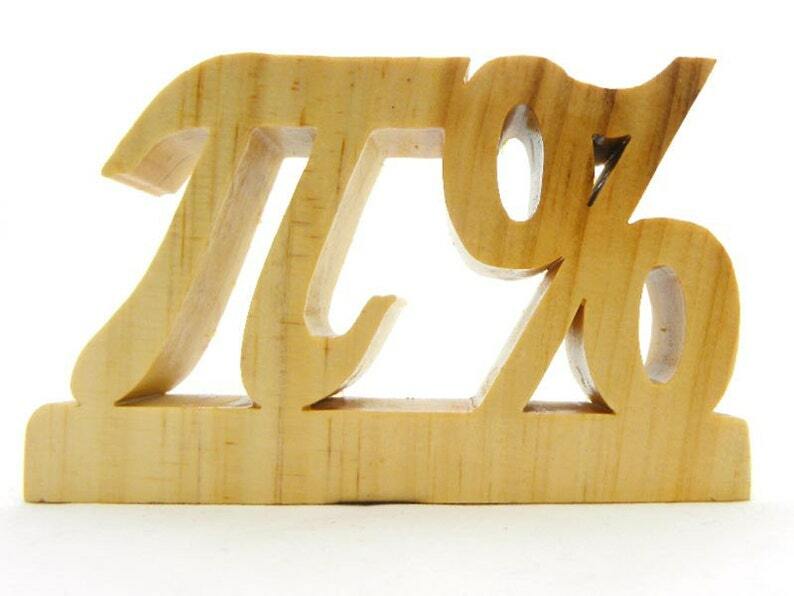 A pi percentage math symbol is a great way to celebrate the love of math. Perfect mathematician gift, engineer gift, math teacher gift or table decoration for a pi wedding. Great freestanding statement art to sit on top of a fireplace, counter/table top or any place you like to display your unique pieces. Bruce calls this “My Cut of the Pi”. Add a hook (not included) and this piece can be used as wall décor. This woodcraft is one of a kind and ready to ship.